For harp gigs, studio, lessons, cello, guitar, child bass players, all musicians. The H5 HarpCello ‘gig’ frame is one size, made of lightweight aluminum, with adjustable solid aluminum leg extensions to provide height ranges low to high. 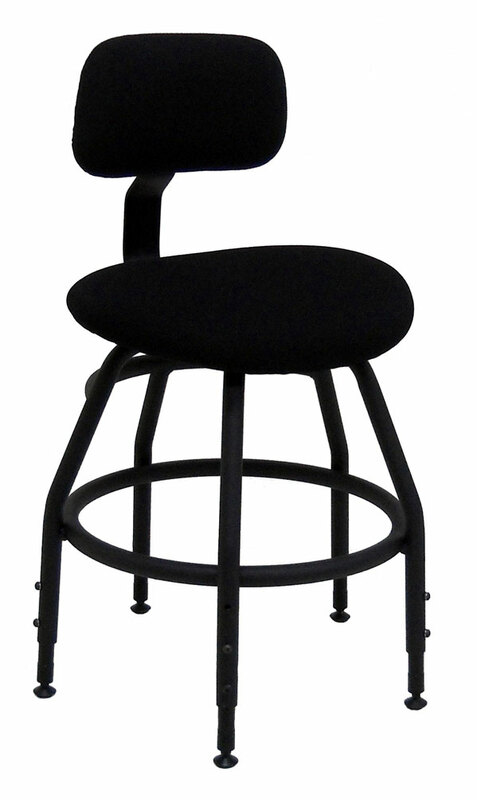 The H5 HarpCello ‘gig’ stool has five (5) legs for maximum stability (similar to our C5 ‘gig’ basso stool). 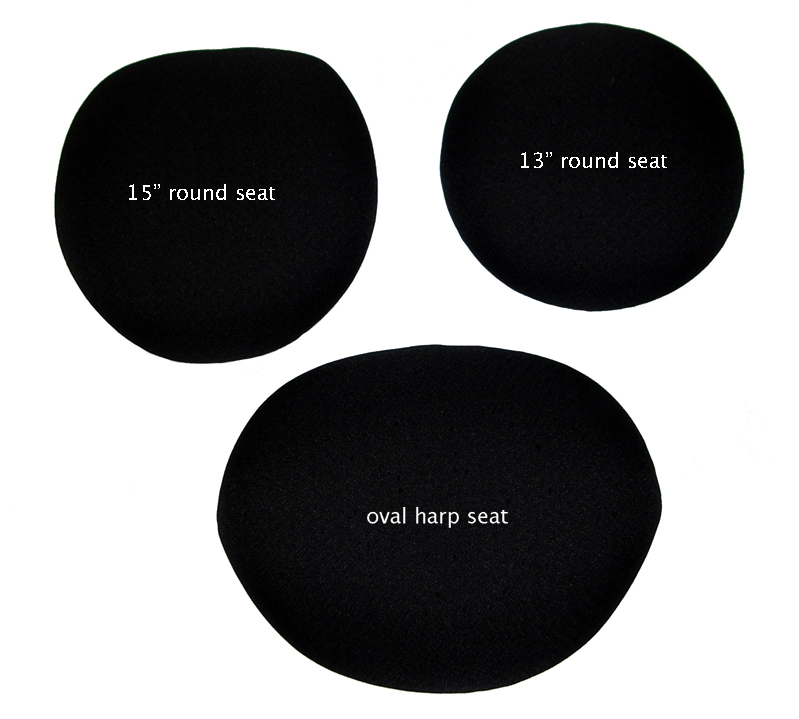 * complements the original HarpCello Performance Chair; indispensable for professional and amateur musicians. * back support is optional but highly recommended. 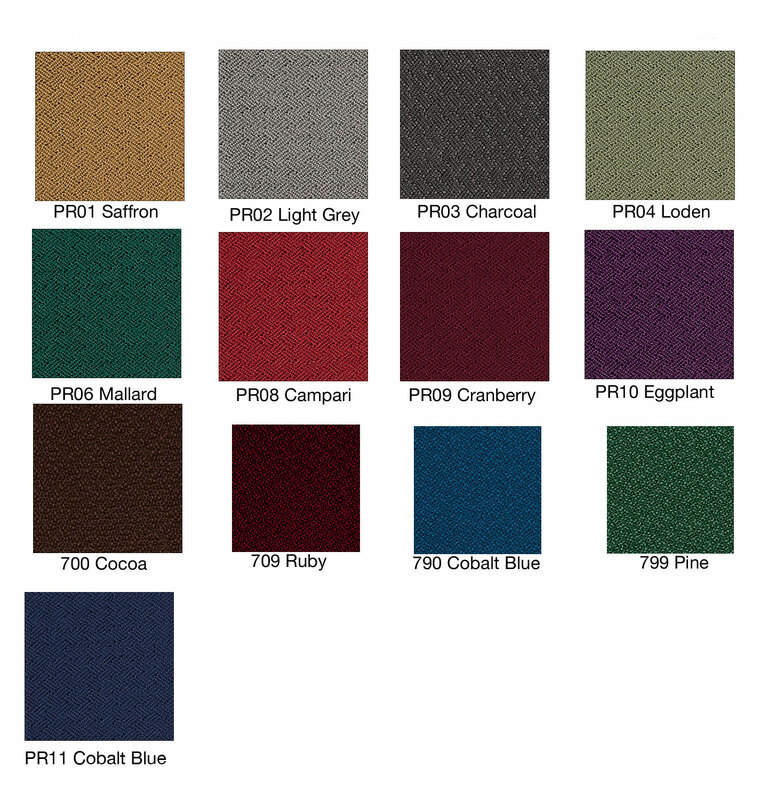 * portable, lightweight, adjustable, comfortable and supportive, lasts a lifetime. * children require good seating from the outset of their music training. 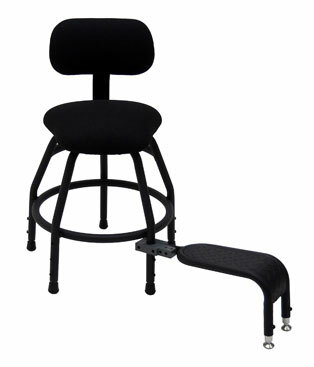 The adjustable leg extensions allow the stool to “grow” with the child. Harp bench and Cello chair Endorsements; Interesting Articles. 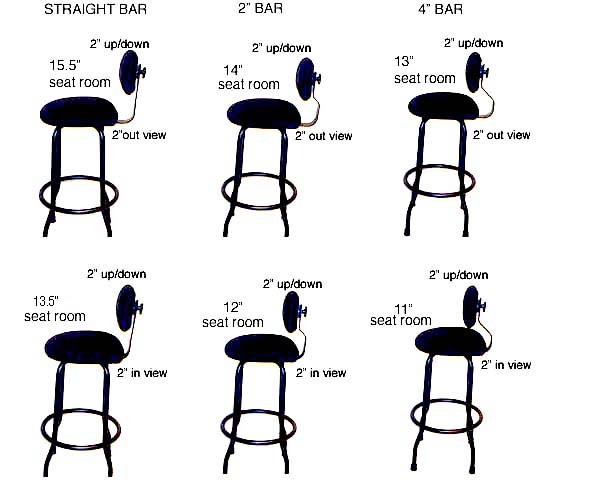 H5 ‘gig’ Stool Facts Page. Chart for leg extensions height ranges. 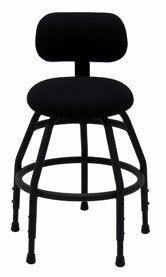 H5 HarpCello ‘gig’ Stool (side profile; back support removed). Beautiful and elegant for onstage performance, gigs, lessons and rehearsal in the studio. 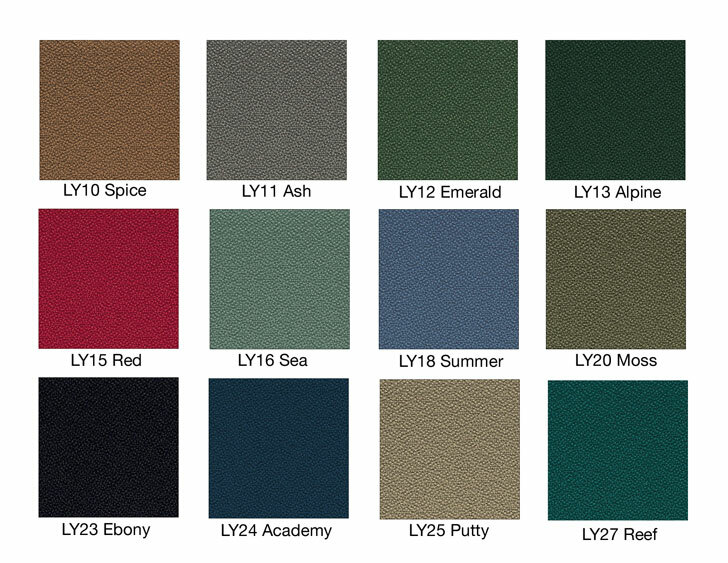 Fabric shown LY23 Ebony, Concert-Black. Harp, cello, guitar, accordion, piano, child bass player. Refer to chart for leg extension height ranges. 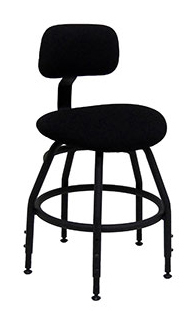 H5 HarpCello ‘gig’ stool shown with optional back support. More information about back supports on Facts Sheet. 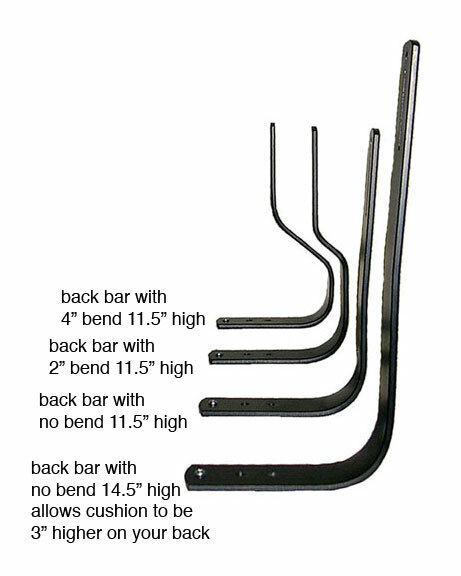 Extra back upright bar may be purchased. 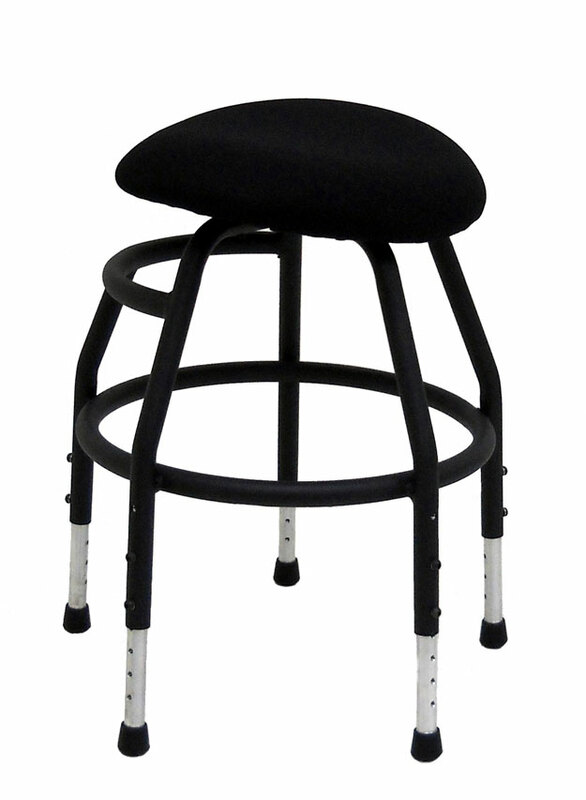 H5 ‘gig’ harpcello stools are available with swivel feature; designed with resistance to prevent free spinning rotation, which can cause spinal injury. 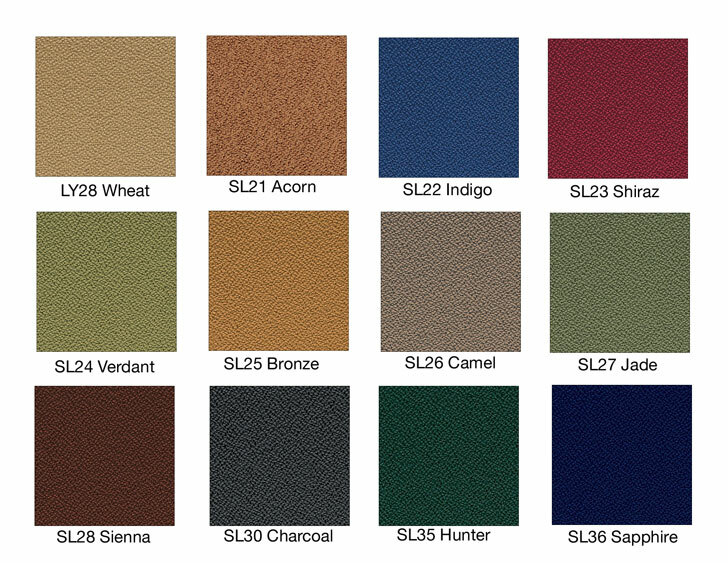 Can be used with choice of seat shapes shown below. “New Idea” Bass Stool for young person learning Double bass. A creative customer realized the H5 HarpCello ‘gig’ stool was the best size for her young son learning bass. Leg extensions height ranges for ‘gig’ harpcello stool. H5 HarpCello ‘gig’ stool perfect for Classical Guitar players, child bassist. Shown with double cutaway seat, optional back support and optional aluminum foot support. View H5 child bass stool cutaway seat. View child bass/classical guitar stool with 15″ round seat. 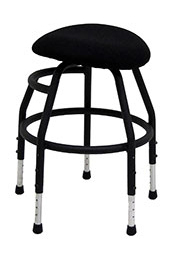 H5 HarpCello ‘gig’ stool shown with 15″ round seat and optional back support. Harp, cello, guitar, accordion, piano, child bassist. round seat may also be used, as well as the 13″ ‘gig’ round seat.